Have you ever dug deep into the settings in your browser? Browser settings often go unnoticed, since most of us use browsers to stay connected or for quick answers to our day-to-day questions. But, browser settings are a handy way to get more control over your browsing. 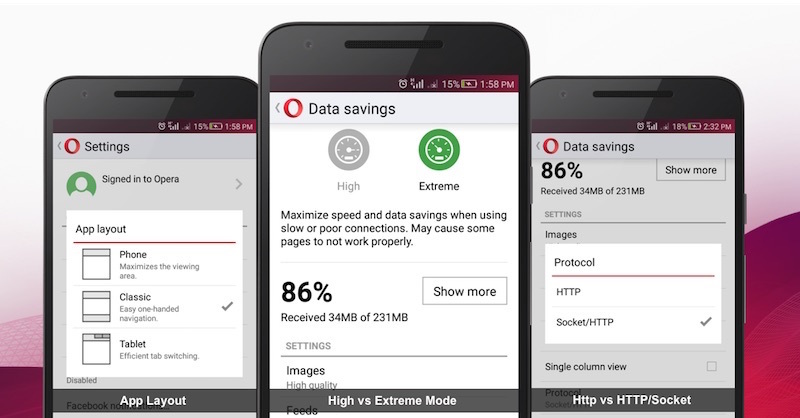 Here are three awesome Opera Mini browser settings you should know about. Phone – This layout maximizes the viewing area on your device; this layout gives you a cleaner, more full screen look on your phone, with only the search tab at the top. Classic – This layout gives you the flexibility to navigate the browser with one hand, so you can access your settings and data savings overview more quickly and easily, even when on the move. 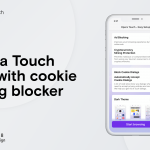 Tablet – When you want to easily add multiple tabs and switch between them on your Opera Mini, this is the setting you should go for. With this layout, you can see all your open tabs at the top of the screen. High-savings mode – With this mode, you get the best mobile web experience and still save tons of data. This browser setting is best when your network conditions are good. Video boost – For less buffering when watching videos on your phone, enable video boost. This feature reduces the size of video data, enabling videos to load faster without eating up much of your mobile data. One of the unsung but useful browser settings is the option to let Opera Mini choose between HTTP and Socket/HTTP. This choice is available when you’re using extreme-savings mode; just hit the “O” button and go to the savings summary. Think of these browser settings as the middleman between Opera’s servers and the Opera Mini browser. The Socket/HTTP browser setting is faster and cost efficient, whereas HTTP is a fallback when your operator does not support a customized socket/HTTP setting. 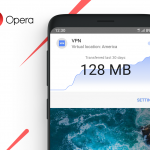 Download Opera Mini and try these browser settings! Tell us what you think on Facebook or Twitter. Previous article: Opera’s plans for Windows PhoneNext article: Why do apps crash, and what you can do about it?